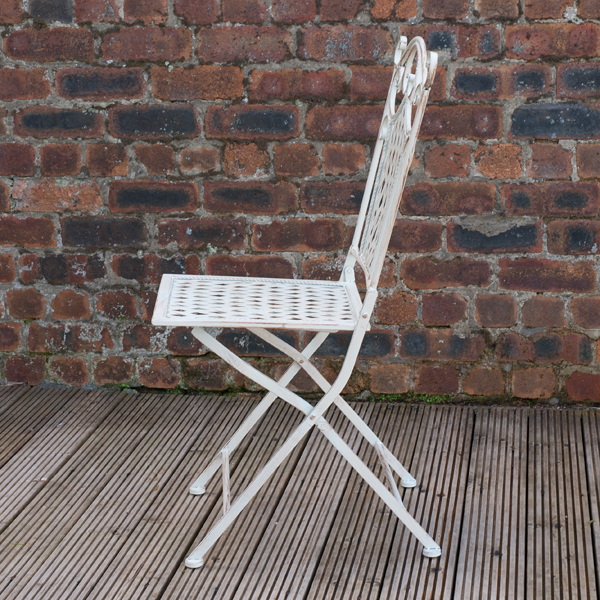 With its charming lattice and scroll design, this Ellister Gibraltar Folding Patio Chair is a great addition. 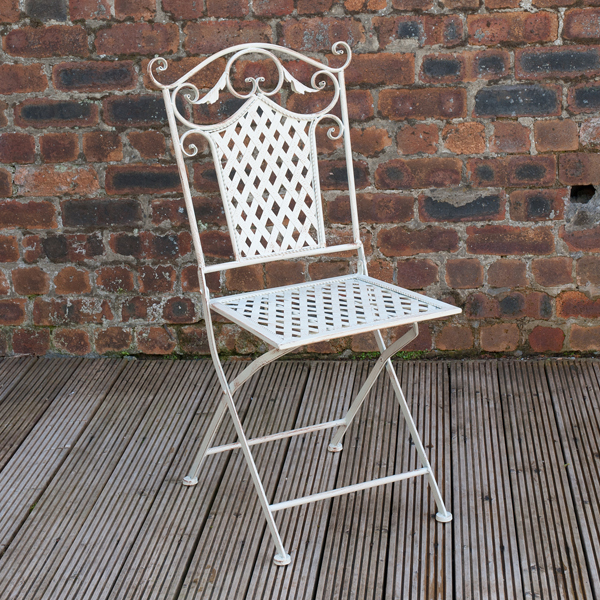 Aesthetically pleasing, this chair will certainly enhance your space, and made from steel, it’s also strong and durable – great for garden furniture. 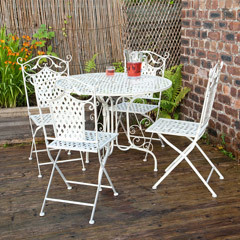 Part of the bistro set that I bought. 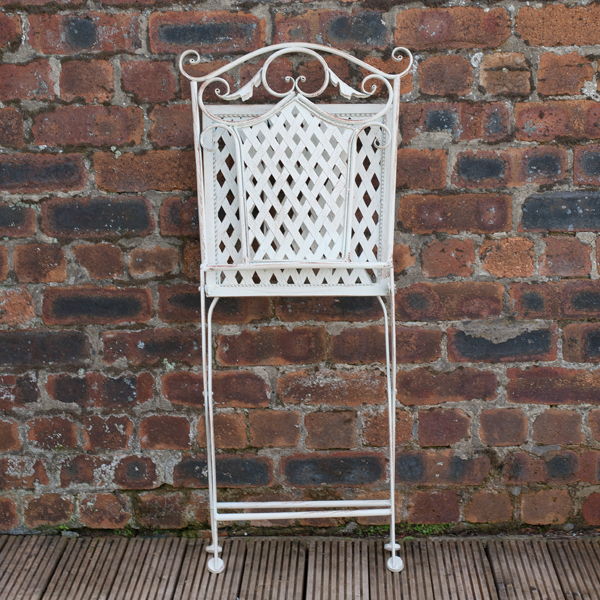 It is excellent value and sturdy. 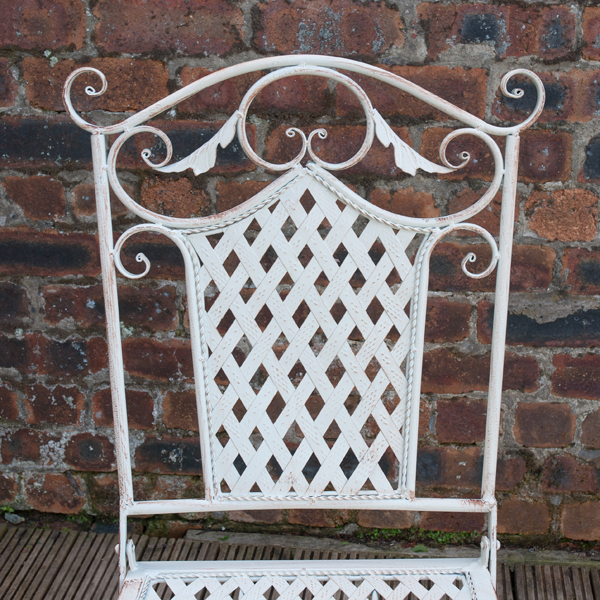 I bought the chair as an ornamental piece for my garden. 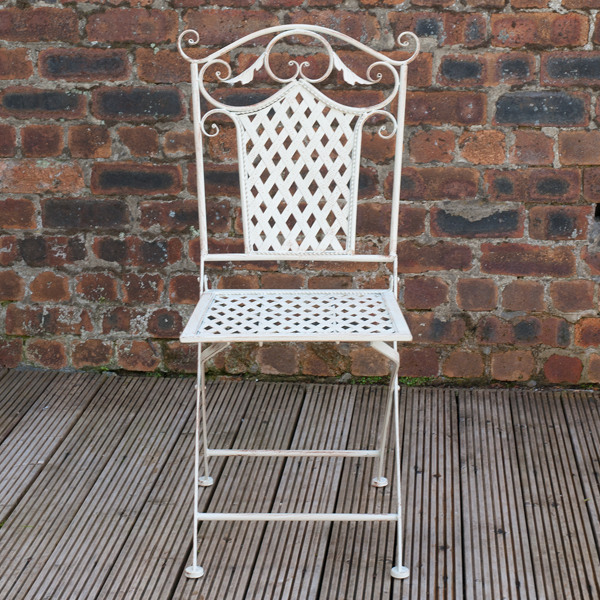 It looks beautiful with a bowl of spring flowers on the seat. 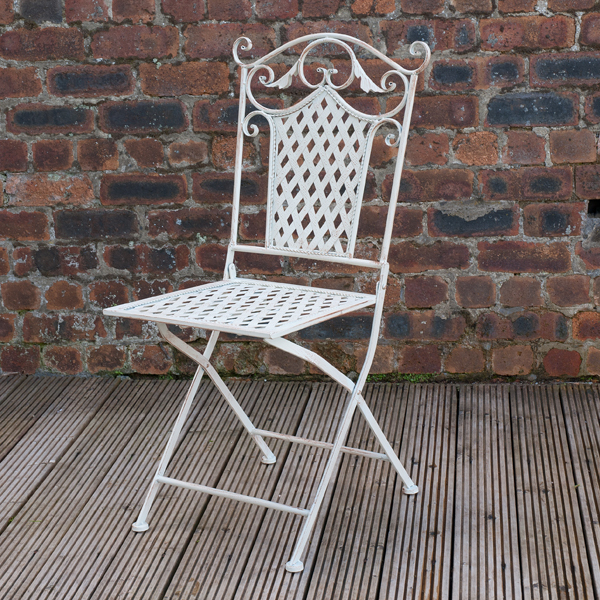 Dispatch was prompt and the chair is exactly as it looks on website.It is strong and sturdy and easily foldable. I bought a table and 2 chairs. 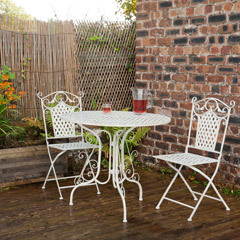 It is a perfect size for my small patio and extremely easy to fold for storage. great value and service.